Be the belle of the unicorn party with this sparkly silver unicorn headband! Glittery silver fabric catches the light beautifully and gets you noticed! 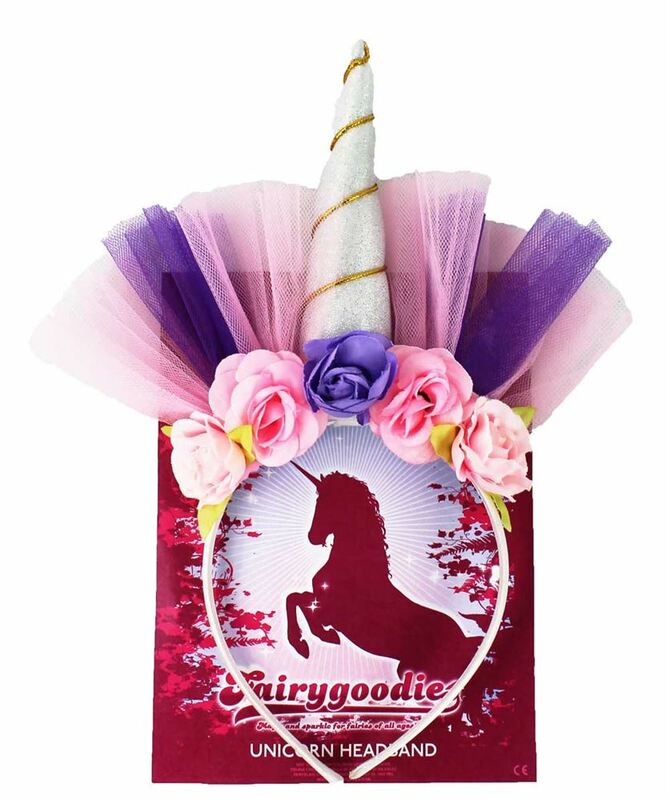 Paper roses and coloured net complete the unicorn transformation.